Centrophenoxine helps boost cognition & memory and has significant anti-aging benefits preventing and reversing neuronal decay. Centrophenoxine (Lucidril® or meclofenoxate) is one of the original nootropics. 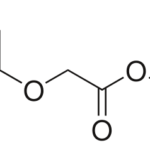 Developed in France in 1959, Centrophenoxine is a combination of DMAE (dimethylethanolamine) and pCPA (parachlorphenoxyacetic acid). DMAE is an amine naturally produced in small amounts in your brain. Researchers speculate that DMAE may increase acetylcholine (ACh) levels in the brain by inhibiting choline metabolism in peripheral tissues. By preventing the use of choline by other tissues (including synthesis into acetylcholine), DMAE increases choline levels in the bloodstream. But DMAE on its own does not easily cross the blood-brain barrier. Combining DMAE with pCPA seems to help this bioavailability issue. pCPA is a synthetic version of auxins (plant growth hormones). Auxins act like natural growth factor in plants. Once digested, Centrophenoxine breaks down into DMAE and pCPA in the liver. This combination was found to make DMAE more bioavailable in the body. And helps DMAE cross the blood-brain barrier more readily. Neurotransmitters. Centrophenoxine seems to temporarily boost acetylcholine in the brain. [i] Which could have an effect on cognitive performance and memory. Neuroprotectant. Centrophenoxine reduces lipofuscin in the brain. Lipofuscin is a cellular waste product that accumulates in cells as we age. It’s the same waste product that causes brown liver spots on skin. 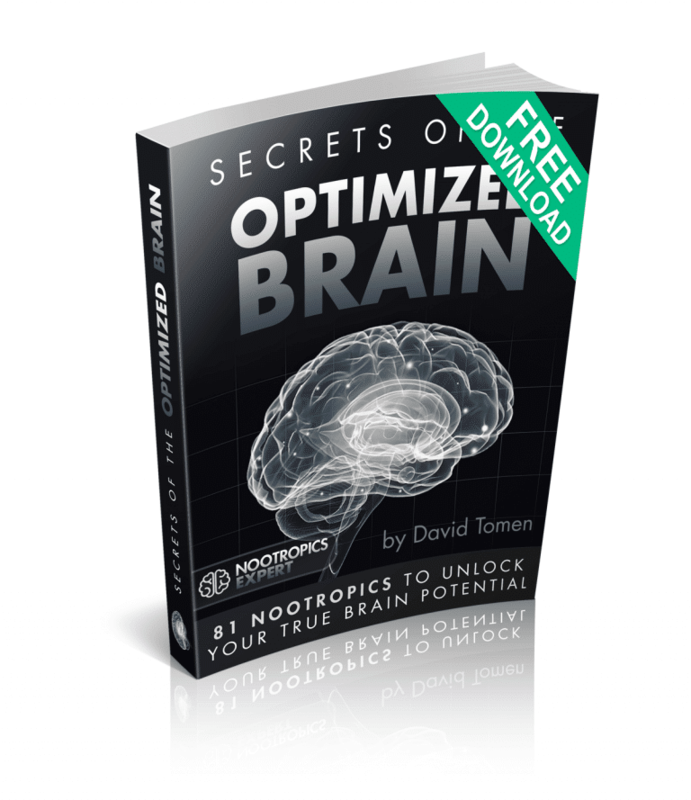 Centrophenoxine eliminates nearly half of the accumulation of brain lipofuscin in just 8 weeks. 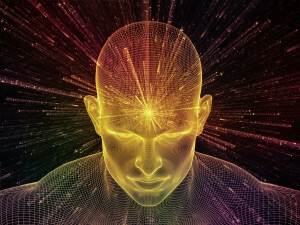 Brain Energy. Centrophenoxine improves cerebral blood flow and oxygen in the brain. Centrophenoxine vs. DMAE: What’s the Difference? How does Centrophenoxine Work in the Brain? Centrophenoxine (meclofenoxate) is one of the original nootropics. And it’s backed by 50 years of research. Centrophenoxine is sold as the prescription medication Lucidril® in some parts of the world. In other countries like the USA it’s sold as an OTC supplement. Centrophenoxine is an ester (chemically-derived) compound of DMAE and pCPA. DMAE seems to increase choline levels by preventing uptake of choline in peripheral tissues in the body. Since choline is a precursor to acetylcholine, more choline in your brain may raise acetylcholine levels. pCPA is a synthesized version of a plant growth hormone. This combination helps DMAE cross the blood-brain barrier more easily than just supplementing with DMAE. Centrophenoxine may be a good addition to your nootropic stack. It’ll increase your brain energy levels by boosting oxygen flow. It helps flush out dangerous free radicals and cellular waste. And will help improve memory and cognition. DMAE is used to make Centrophenoxine. DMAE is found in small amounts in your brain. 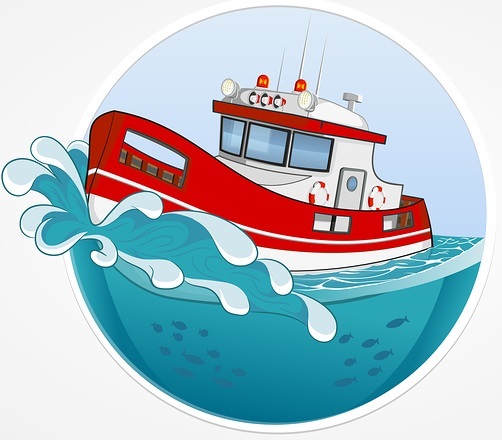 A good food source of DMAE is fish. But there is little evidence that DMAE as a supplement actually crosses the blood-brain barrier. And if it provides the brain enough choline needed to make acetylcholine. Centrophenoxine seems to solve the blood-brain barrier problem. Adding pCPA to DMAE helps DMAE enter your brain. And this combination also seems to be an effective way to boost acetylcholine. If you’re considering adding DMAE to your stack, Centrophenoxine may be a better alternative. Centrophenoxine boosts brain health and function in several ways. But two in particular stand out. 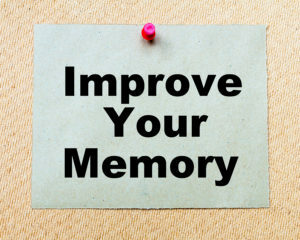 Centrophenoxine helps improve memory. [ii] It does it in part by boosting the enzyme acetylcholinesterase in the brain. [iii] This is the enzyme needed for breaking down acetylcholine once it does its job in the post-synaptic neuron. The choline is then liberated to be taken up by the pre-synaptic neuron where acetylcholine is once again synthesized with the help of Acetyl-CoA and choline acetyltransferase. 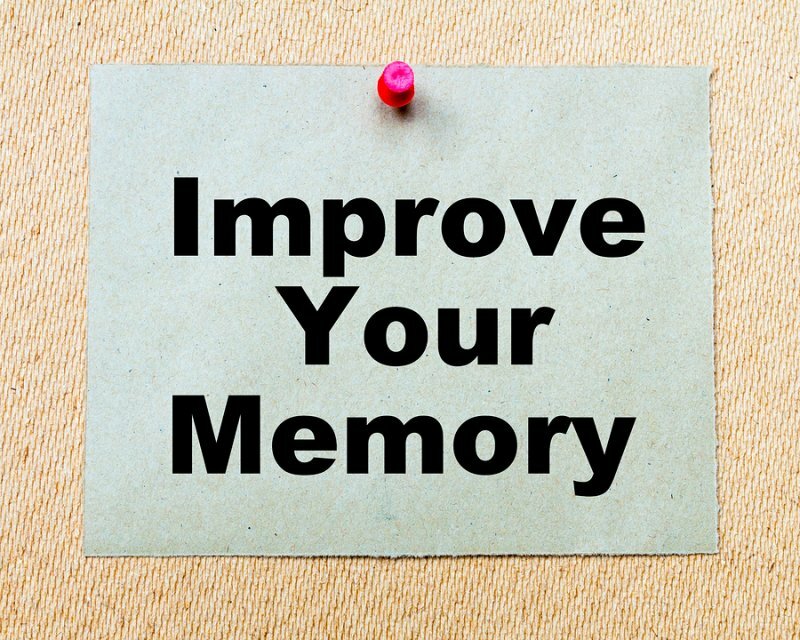 Increased acetylcholine activity helps short-term memory, concentration, and learning. Centrophenoxine takes out the cellular trash. Lipofuscin are more commonly known as age pigments. [v] They show up as “age spots” or “liver spots” on aging skin. And they hide in cells throughout your body. Including your brain, liver, kidneys, heart, adrenals and nerve cells. Lipofuscin are the product of oxidation of unsaturated fatty acids. They also contain other cellular heavy metal waste like mercury and aluminum. The buildup of this toxic mess is caused by a breakdown of your normal cellular waste disposal function. Centrophenoxine helps remove lipofuscin from brain cells. And from cells throughout your body. All of these age-related changes are contributing factors to the neurodegenerative diseases of aging. Including Alzheimer’s and dementia. But even if you’re not concerned with anti-aging, Centrophenoxine can help. something to combat age-related cognitive decline. Centrophenoxine is a combination of pCPA and DMAE. Some studies show that DMAE may boost acetylcholine levels in the brain by preventing choline uptake in the peripheral system in the body. Thus providing more choline which could be used to synthesize acetylcholine. But there’s very little evidence that it can cross the blood-brain barrier. pCPA seems to solve that transport problem. Centrophenoxine is water-soluble and quickly enters your brain after you take it. Once in your brain, it boosts signal transmission, and protects neurons. Centrophenoxine gets to work right away by temporarily boosting acetylcholinesterase in parts of the brain. This enzyme is needed for the synthesis of acetylcholine. And it gets busy clearing cells of free radicals and lipofuscin. Centrophenoxine offers a gentle brain energy boost when you take it first thing in the morning. You’re able to remember things a little easier. Recall when you need it seems effortless. Some neurohackers report that Centrophenoxine works well stacked with Aniracetam, Noopept, and Piracetam. It may work in part by providing some of the extra acetylcholine racetams demand when you take them. And if you dose half in the morning, and the other half early afternoon, you should feel a brain energy boost throughout your day. A prescription form of DMAE called Deanol was used in the 1960’s and 70’s to treat learning and behavioral problems in children. What’s now known as ADHD. Centrophenoxine is not only an effective cognition booster, it helps reverse the effects of aging in your brain. Much of brain cell membrane is made of phospholipids (fat). And it oxidizes as we age. In other words, free radicals build up. And are not removed from cells efficiently the older we get. Aging brain cells also get clogged up with lipofuscin. Lipofuscin are the product of oxidation of unsaturated fatty acids. They also contain other cellular heavy metal waste like mercury and aluminum. You see lipofuscin show up as ‘age spots’ on older skin. 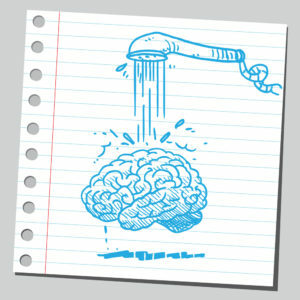 The same thing happens in your brain. Researchers in Hungary conducted a double-blind clinical trial with 50 people suffering from dementia. Average age was 77 years. They gave one group 2 grams of Centrophenoxine for 8 weeks. In another study in India, researchers worked with male Wistar rats aged 4, 8, 16 and 24 months. They used these ages because they correlate with human aging from young to elderly. Just like in humans, lipid oxidation and lipofuscin concentration increased with age. The experiment also showed that cellular free radical damage and lipofuscin buildup happened at the same time. This buildup of cellular waste contributes to age-related decline in neuronal electrical activity (neural signaling). Cognition, memory and learning are all affected. The research team found that Centrophenoxine had no effect on younger rat brains. But in the two older age groups they saw a significant decrease in lipid oxidation and lipofuscin concentration. Centrophenoxine boosts neuronal glucose and oxygen uptake in the brain. And helps the production of RNA and protein. RNA is derived from DNA in the cell nucleus. And enable neurons to form proteins. 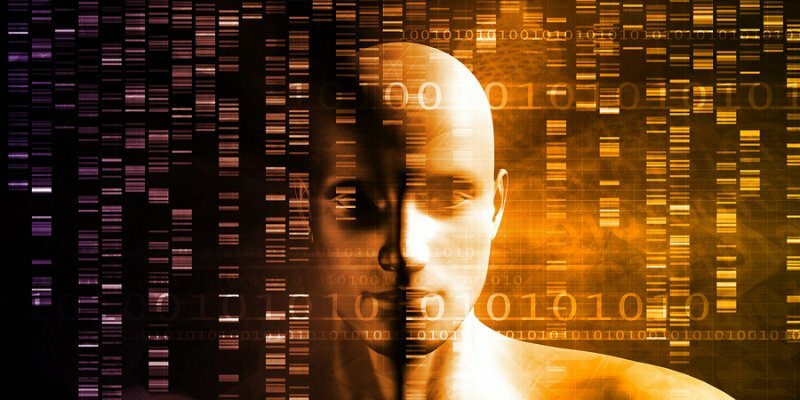 Which help encode memory and repair damage to brain cells. Centrophenoxine dosage is typically 500 mg to 1 gram daily. If you’re stacking it with a racetam, split your dose. So a 1-gram dose would be 500 mg first thing in the morning, and the other half early afternoon. Centrophenoxine seems to help increase choline and acetylcholinesterase in the brain. Which is needed for the synthesis for acetylcholine. But keep this in mind; Centrophenoxine and DMAE are related to choline. They are not the same as choline. Centrophenoxine should not replace a regular choline source like Alpha GPC or CDP-Choline. But Centrophenoxine can be stacked with a choline source. And yet some neurohackers take Centrophenoxine as a choline source to include in their racetam stack. Or use it as a nootropic on its own. Experiment and see what works best for you. YMMV. Centrophenoxine has been used as a nootropic for nearly 50 years. So it’s safety is well established. It’s non-toxic and should be well tolerated by most neurohackers. If you deal with epilepsy or bipolar disorder you should avoid Centrophenoxine entirely. Centrophenoxine could cause a boost in acetylcholine. So an excess of acetylcholine could cause the above-mentioned side effects. Cycling Centrophenoxine with 5 days using it, and a 2-day break should eliminate any acetylcholine toxicity. Centrophenoxine comes in powder form and capsules. Capsules are typically 250 – 400 mg.
Centrophenoxine is water-soluble so it’s not necessary to take it with a fat or oil. You may find it absorbs better or more quickly when taken with food. Centrophenoxine 500 – 1,000 mg per day. We recommend using Centrophenoxine as a nootropic supplement. Your body does not make Centrophenoxine on its own. And it’s not available from food. This nootropic is a combination of DMAE and pCPA, and is only available in supplement form. In some countries Centrophenoxine is prescribed as Lucidril® for treatment of Alzheimer’s or age-related cognitive decline. Studies show Centrophenoxine helps stop or reverse brain degeneration by clearing out free radicals and lipofuscin from brain cells. Making Centrophenoxine one of the primary anti-aging nootropics. Centrophenoxine also boosts available choline. And a few studies show it can at least temporarily increase acetylcholinesterase. The enzyme needed for the synthesis of acetylcholine. Which would boost cognition, memory, recall and learning. But we do not recommend using Centrophenoxine as your primary source of choline in your nootropic stack. We have much better acetylcholine precursors available to us including Alpha GPC and CDP-Choline. We suggest starting with a dose of 500 mg daily. Possibly more depending on your racetam usage. Age-related cognitive disorders like Alzheimer’s may want to up the dose to 2,000 mg per day. It’s a mistake on my part. And thank you for spotting it. I wrote the Centrophenoxine article before DMAE. And neglected to go back and correct what I wrote about DMAE for Centrophenoxine. I will correct it today. Researchers think that DMAE raises choline levels by inhibiting choline metabolism in peripheral tissues. By preventing the use of choline by other tissues (including synthesis into acetylcholine), DMAE increases choline levels in the bloodstream. So logic would tell you that with higher choline levels in the brain, more acetylcholine would be produced. Turns out that in one study, when DMAE reached synapses – nothing happened. Choline levels rose but did not convert into acetylcholine. Which brings up a very important issue when researching nootropics. And a mistake many people make. Especially when first getting started with nootropics. 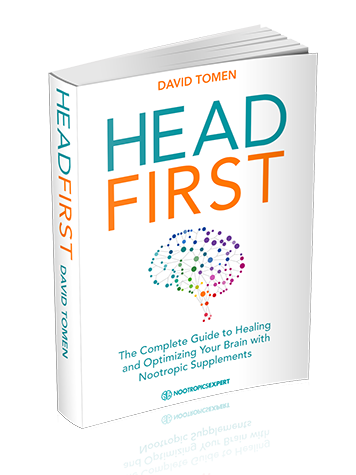 Don’t believe the first thing you read about a particular nootropic. Even if the information is on what appears to be an authority site. I’ve since learned that the more I learn about this subject, the less I realize I know. It’s very humbling. 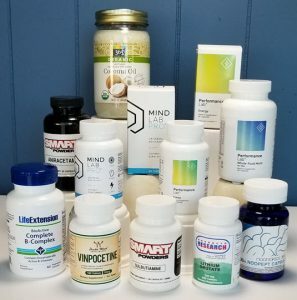 And fortunately, I have a dogged determination to get at the truth for each of these nootropic supplements. That is interesting. I am fascinated by what others say about Centrophenoxine’s effects. If this prevents conversion of choline into Ach, than why does it seem to exhibit similar effects to Acetylcholinergic nootropics? It should be the exact opposite. The feedback mechanisms are so complex and hard to grasp. Centrophenoxine works for some to boost acetylcholine. And not others. 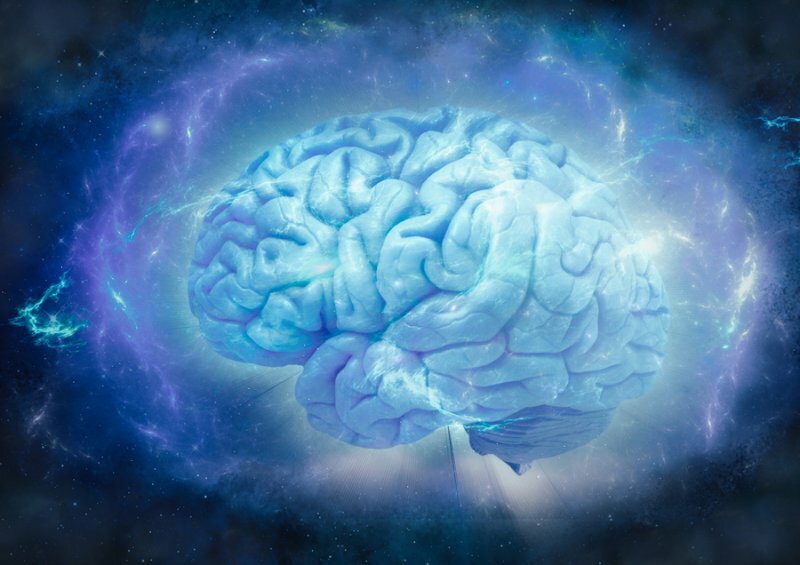 Our brain is the most complex anything in the known universe. And to complicate things even more, it’s affected by genes and gene expression, food, water, air, and the list goes on. This is why we always say when describing nootropics that “your mileage may vary”. Every single one of us is unique. Particularly when it comes to the brain. I would go one step further and say, at times, it’s impossible to grasp. There’s no way to know how a single brain will react to a nootropic like Centrophenoxine. Unless you try it. Thank you for all the info. you provide. As far as brands go, I’m having a difficult time finding a company who is transparent enough (has an “about us” that specifically mentions the importance of PURITY) making me comfortable in purchasing their product as we ONLY want a high-quality PURE product. Any suggestions? David, I took my first dose of Centrophenoxine a few days ago (300mg) in the morning. I’ve been anxious to start trying it, however, that night when I was falling asleep (or possibly right after falling asleep) I had a very strange sensation happen. Inside my head I heard a high pitched, whistling sound that lasted just a second or two, followed by what seemed like electrical current shooting all around my limbs; however, no pain at all. This whole event lasted only about 4 seconds. I was very alarmed. Needless to say, I didn’t continue using the centrophenoxine yet. I have been trying to find out if anyone else might have experienced something like this. I will be checking with my doctor but, I thought you might know. Martha, interesting reaction and one I’ve not heard of before. I’ve not come across anything in the literature or studies resembling what you describe. Let us know if you learn anything about the possible cause. “But there is little evidence that DMAE as a supplement actually crosses the blood-brain barrier. And if it provides the brain enough choline needed to make acetylcholine. That’s a contradiction. If it’s split into DMAE and pCPA in the liver how would it cross the BBB? Unless para-Chlorophenoxyacetate has an effect on the BBB by itself. Caravaggio, it is not a contradiction but you make a good point. There is evidence that pCPA helps DMAE cross the blood-brain barrier but I have not been able to find a study that explains the exact mechanism of action. This has been debated in the scientific literature for decades. Let us know if you have found any evidence on this mechanism of action for pCPA and DMAE and I’ll update this review. So it is only partly metabolized, I assumed it would be completely metabolized. Sounds like it damages the BBB? Centrophenoxine does not damage the blood-brain barrier. The 2nd study you mentioned is talking about rats whose BBB was damaged by chlorophenoxyacetic acid “herbicides”. Not pCPA on its own as far as I can tell. The study was attempting to understand if more of something passed into the brain when the BBB was damaged. The 1st study mentions what several other studies have shown. And that is only a partial separation of Centrophenoxine into DMAE and pCPA in the liver. While this isn’t ‘proof’, it suggests that somehow what’s left and leaves the liver, enters the bloodstream. And pCPA helps DMAE cross the blood-brain barrier. So far, no one has illustrated how exactly this happens. You’re right, the abstract didn’t specify the herbicides in full detail. They’re 2,4-dichlorophenoxyacetic acid (2,4-D), 2-methyl-4-chlorophenoxyacetic acid (MCPA) and 2,4,5-trichlorophenoxyacetic acid (2,4,5-T). I wonder what happens if you already have these herbicides in your brain and you take Centrophenoxine. Would the pCPA detox it or would it worsen the effect. That sounds like they added pCPA to separate the herbicides from the proteins. the most important information which I couldnt find anywhere is what the storagetemperature and -life of Centrophenoxine is. Farooq, one manufacturer leaflet for “Lucidril” which is a prescription version of Centrophenoxine says to store this nootropic in temperatures below 30C. And while I can’t find any authoritative source for half-life, it appears one dose is good for 3 – 4 hours. 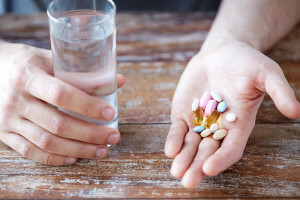 Would it be safe to take centrophenoxine if you’re already taking vortioxetine? I’d like my elderly mother to try centro, but she’s already on antidepressants and I would prefer not to kill her with nootropics. Ernest, I’m not aware of any contraindication between centrophenoxine and vortioxetine. Centrophenoxine helps boost acetylcholine in the brain while vortioxetine boosts serotonin. How about bp meds? As I understand, centrophenoxine should be avoided if one has high blood pressure. If one is taking medication for high bp, is the situation different? Ernest, you may need to increase your blood pressure meds if you are going to use Centrophenoxine. In your review of DMAE you caution against taking too much because it may cause depression if taken daily or for a long period of time, so you recommend starting out with 50 mgs and not exceeding 200 msg a day, preferably split between 2 doses. Do you have similar cautions with Centrophenoxine? I’ve been stacking DMAE with L-Carnosine (along with ALCAR), but now realize I’ve been taking far too much DMAE, 500 mgs a day split between 2 250 mg doses. It’s difficult to find DMAE in pill form with smaller doses. I’m considering replacing the DMAE with Centrophenoxine instead with this stack, but you don’t seem to have the same dosing cautionaries here. Is it a safer form that is less likely to cause depression?